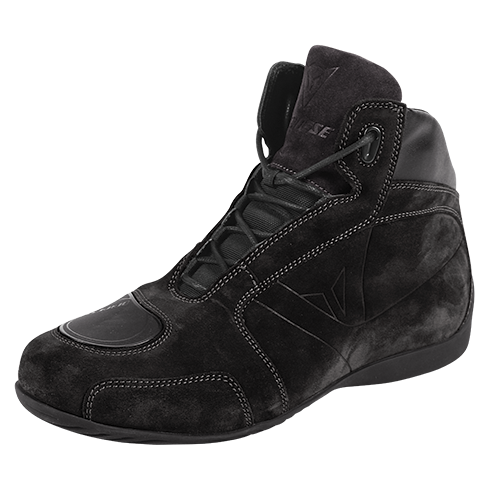 Comfort, a sporty look and technical content summarize Dainese Vera Cruz D1 shoes. They are ideal for a day's outing on your bike or for going for a quiet stroll. Thanks to the use of cowhide and tough, resistant D-Stone fabric, rigid inserts at the ankles and a pad for protecting the shoe during gear changes, the Vera Cruz D1 stand out for the protection and reliability they offer. The inner lining in double needlebed fabric further enhances comfort, and they are also CE Category II certified.